The staff members include board certified dental hygienists and a certified dental assistant. Our hygienists each have a 4-year B.S. degree, have passed national and state board exams and have annual continuing education requirements. All are part of our committed team because of their concern for the patients and their dedication to technical excellence. Our front desk staff is dedicated to helping you achieve your dental goals and having each of your visits be as smooth and punctual as possible. They will also be sure you are kept abreast of the financial ramifications of any treatment before you appointment. Robyn Hymel is a Registered Dental Hygienist and a native of Louisiana, born and raised in Baton Rouge. She received a Bachelor of Science degree in Dental Hygiene from Louisiana State University School of Dentistry and has been working as a hygienist for over 30 years. 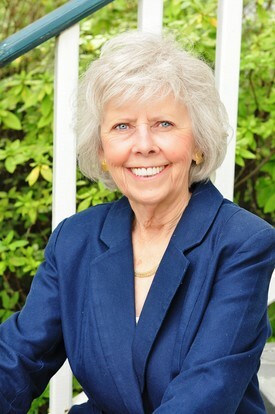 After moving to this area with her family, she felt lucky to join Dr. Foy’s team in 2007. The relationships she has formed with patients, not only on a professional level, but especially on a personal level have brought her the greatest satisfaction in her career. Robyn’s goal has always been to treat patients with the highest standard of care, and to do that in an atmosphere where they feel comfortable and relaxed. Outside of the office, she enjoys spending time with her husband, Roland, son, Brent, and daughter and son-in-law, Leigh and Nick. She also enjoys cooking, gardening, reading and sporting events, especially football games. When you call the office, you will hear Elaine McCraney’s cheerful greeting. She has been employed with Dr. Foy since 1998. She handles all of the business needs at the front desk and truly enjoys working with our wonderful patients and staff. Prior to working with Dr. Foy, she spent several years in an orthodontic office and many years in a pediatric practice in the New Orleans area. Her caring nature exemplifies our mission statement, always striving to achieve mutually beneficial relationships with patients based on trust. Her daily goal is to come to work each day with an appreciation of the relationships with our staff and patients. On a personal note, she has been married to Ed for 53 years. They have two children and three grandchildren. All are the love of her life. 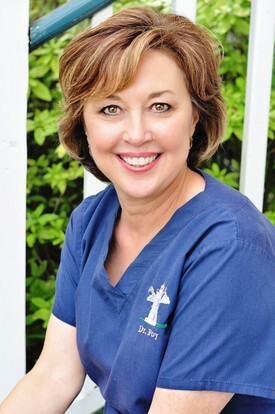 Ronda Walters is a Registered Dental Hygienist who graduated from Louisiana State University School of Dentistry in 1991 with a Bachelor of Science degree in Dental Hygiene. She has practiced for Dr. Foy since 1992. When you visit with Ronda for a preventative therapy appointment, your oral health is her top priority. She will provide you with the education and tools you need to bring your mouth to a healthy state. She is a long-time resident of Covington where she lives with her husband, Eddie, and her three children, Hannah, Nico, and Avan.